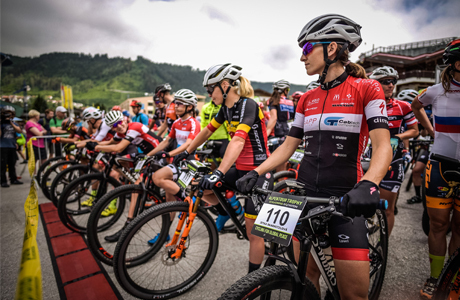 For a mountain bike race, we recommend to use the passive system with disposable transponders attached to the back of the bike plates. 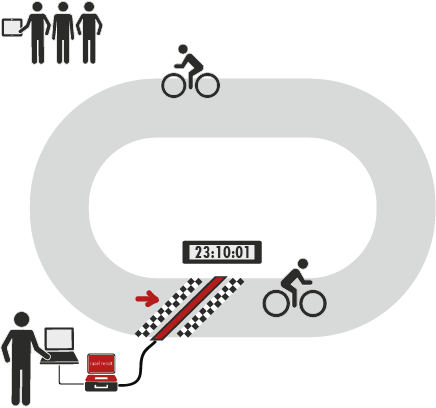 The procedure exactly corresponds to the example of Local Road Race. In case of a 24h-race, choose the template "Team Lap Race" when setting up the event file in race|result 11. Log in on raceresult.com, create your event in race|result 11 (the race|result 11 Introduction helps to get started) and activate the online registration. Once you can estimate the quantities, order the individual bike plates with transponder and other supplies in our shop. Unused or even used bibs can be used for the next event. Send the rental system back to race|result.